Q1: In the data released to me, I was only given information on the ‘detection category’ for 3,720 of the 11,161 domestic abuse crimes committed during 2012/13. The rest are blank – can you please tell me what this means? PSNI response: The blank cells within the column headed ‘Detection Category’ on the Domestic Abuse Crimes worksheet mean that at the time the data were extracted in response to this FOI, the offence in question had not been ‘detected’. Where the detection category column shows a blank cell but the file forwarded to PPS column shows ‘Y’ then it could be that the case is still under consideration with PPS or that no prosecution was directed by PPS (and no detection could be claimed under the Home Office Counting Rules). Where the detection category cell is blank and the file forwarded to PPS field shows ‘N’, the offence may be under investigation by police and a file may be forwarded to PPS in due course or it could be that for some offences there may be insufficient evidence to forward a file to PPS. Those offences where the detection category cell is blank still have the potential to be updated to a detected status at a later date. In very specific circumstances the Home Office Counting Rules permit a detection to be claimed where the offence is a particularly serious offence (i.e. ‘indictable only’ meaning that it can only be dealt with as an indictable offence in the High Court) and where the offender has died or the PPS decides not to prosecute. The two offences that are marked as ‘no prosecution directed’ on this file are examples of this. Any other less serious offences (hybrid or summary offences) where the PPS directs no prosecution are not eligible for being detected and hence the cells in these cases would be blank. Q2: I would like to have a comment on the reason for the differences between areas of Northern Ireland when it comes to a file being sent on to the PPS. The percentage of incidents forwarded on to the PPS range from 19% in the Larne area to 37% in Fermanagh. Looking solely at domestic abuse crimes, the percentage forwarded on to the PPS and or charge/summons ranges from 57% in South Belfast to almost 78% in West Belfast. By district, this ranges from 58% in District B to 76% in District A. Why is there such a big difference between areas? 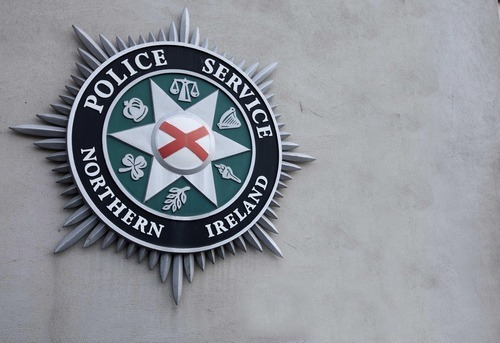 PSNI response: In determining whether a file should be sent to the PPS, the test to be applied within protocols between PPS and PSNI, is whether there is evidence that can be adduced at court to connect the suspect to the offence. This is not always a straightforward issue to determine and is made more difficult in domestic violence cases in particular as unfortunately it is not uncommon for a victim to subsequently not wish to pursue an allegation. A team of dedicated inspectors known as ‘service gatekeepers’, were introduced to the PSNI in September 2011 to help provide consistent advice to investigating officers regards the most appropriate case disposal option and this has had a positive effect. However individual districts may also adopt local policies to send files to the PPS even where this test is not met as part of a package of measures to tackle this crime. There are real challenges around what the Inspectorate describes as attrition rates in the recent report – when someone makes a complaint to police it may go to a certain point in the criminal justice process and then the statement is withdrawn. There is a balance for us and the PPS in terms of what the victim wants and what is in their best interests. One area where we wish to continually improve is supporting the victim through the entirety of the criminal justice process so they do not get to a point where they feel it is appropriate for them to withdraw their statement. One way that we do this is through victim care units which have dedicated case officers for each victim who can support the victim and encourage them as well as ensuring that the decisions they make about any withdrawal statement is as informed as possible. Q3: Why are the number of specialist domestic abuse officers based in District E much higher than elsewhere – 12.5 officers compared to the next highest of 7 specialist officers in Districts D and A.
PSNI response: Each district allocates its own Domestic Abuse Officers, depending on local need as part of their response to tackling this type of crime. However it is also important to remember that Domestic Abuse Officers are not the only ones dealing with incidents of domestic abuse. Response and neighbourhood officers and detectives from CID also deal with incidents. All police officers are trained appropriately to protect, help and support anybody who is suffering domestic abuse. District Commanders utilise the National Intelligence Model alongside crime analysts to inform deployment and operational decisions in tackling crime types that occur within their district. This framework allows for a consistency of approach across Northern Ireland whilst allowing a tailored focus on local harm and crime trends. Q4: Do the specialist officers work evenings and weekends and do they have investigative powers? What is their role? Identify and risk assess all domestic crimes and domestic incidents reported to police. Participate in the Multi Agency Risk Assessment Conference (MARAC) process. Complete UNOCINI Forms (Understanding the Needs of Children in Northern Ireland) and forward to Southern Health and Social Care Trust. Provide support, guidance and information to the victim of domestic abuse. At direction of Inspector, Public Protection Unit – where a victim has advised police of an intention to withdraw a complaint of domestic abuse, DAO will meet with the victim and if appropriate record a statement of withdrawal. In appropriate circumstances, assume the role of investigating officer as directed by Inspector/Sergeant, PPU. Attend Child Protection Review Case Conferences arranged by Southern Health and Social Care Trust. The role of police is one of prevention, protection and prosecution. Prevention of further violence, protection of the victim, children and other vulnerable persons and facilitating the prosecution of offenders by PPS. Domestic Abuse Officers also provide support and information about police procedure and legal proceedings. The PSNI is committed to protecting people from abuse. We will fully investigate any incident that has occurred and take action against the perpetrator, if there is sufficient evidence, protect the victim, children and other vulnerable persons from immediate or further harm, provide information in relation to criminal proceedings and police procedure and provide information on local domestic abuse support agencies that can give emotional and practical assistance. Q5: Can you explain why BodyWorn Video has more often been used for public order incidents than for domestic abuse cases (as cited in the CJI report)? Is there a plan to start using the cameras for domestic violence incidents? PSNI response: The PSNI has rolled-out Body Worn Video at district levels and local guidance has included use for incidents of domestic violence. We continue to work with partner agencies to look at how best to further progress this and are working with the College Of Policing who are taking forwards a national pilot and evaluation project. Q6: Is the PSNI committed to achieving all of the recommendations from the 2010 CJI report? PSNI response: We are confident that we can fully implement these recommendations however there will be more conversations with the Criminal Justice Inspectorate to ensure the suitability of the recommendations in relation to the broader challenges that domestic violence investigations bring. We have initiated a number of inspections ourselves and we will continue to do that because we see that this is a critical area where improvements are expected and we will not lose momentum. We have made significant progress in strengthening our partnerships in an effort to bring results. Over the past three years through the Multi Agency Risk Assessment Conferences (MARAC) we have put in place safety plans for almost 6,000 high risk victims of domestic abuse. We have also been awarded the Onus Gold Charter Mark for our workplace policy in responding to incidents of domestic abuse. Just recently we have launched a joint protocol with the Royal Military police and Ministry of Defence Police for a joint response to domestic abuse within the military community. Q7: Is there a special PSNI helpline phone number for people suffering from domestic abuse? PSNI response: While more victims are coming forward and making the brave decision to tell police what has happened to them, there are still many who are suffering in silence. It can be a frightening thing to call for help but victims can be assured that we will investigate all reported incidents of domestic abuse in a consistent and robust manner, protecting victims and prosecuting offenders. We would encourage anyone facing domestic violence or the threat of domestic violence to report it to us and we will take steps to investigate. Partner agencies can also offer assistance and protection to those who find themselves at risk. Police can be contacted on 0845 600 8000 or 999 in an emergency. However if you are not comfortable with speaking to a police officer first, there are support groups such as Victim Support NI and the Samaritans who can give you help and advice. A 24 hour Domestic Violence and Sexual Violence helpline number can be contacted on 0808 802 1414. Additional information is also available from the PSNI by clicking here.